The European Union is under huge pressure from the United States to cut trade with Iran, says an analyst, arguing that it is no surprise that the customs union has failed to set up a payment mechanism meant to circumvent the sanctions imposed by Washington. Tehran has criticized the European Union for a delay in the implementation of the SPV financial mechanism, warning that the bloc should account for the “consequences” of the holdup. “This news is disappointing but not surprising. After all, the European Union is coming under tremendous pressure from the United States to stop trading with Iran or, at the very least, to limit its trade with Iran and of course Germany, which is the engine of the European Union has been running Europe under American supervision ever since 1990, following the collapse of communism in Eastern Europe in the fall of 1989. So given that reality, it is no surprise that the Europeans are delaying this process,” Marcus Papadopoulos, editor of Politics First, told Press TV in an interview on Sunday. “I think genuinely the Germans and the French and, to an extent, the British do want to trade with Iran. Iran is, relatively speaking, a big market for these free European countries but as I said America has an extraordinary leverage over the European Union and the Americans are telling the Europeans that the choice is the American market or the Iranian market,” he added. The SPV or the special purpose vehicle is a virtual clearing house which the Europeans have been working on for months to process Iran-related transactions independent of the US but the mechanism has yet to see the light of day. So far, the Europeans have failed twice to fulfill their promise to get the system up and running in order to persuade Iran to remain in a landmark 2015 nuclear deal known as the JCPOA after the US abandoned it. The EU first pledged to make it operational before the US sanctions went into effect in August 2018. 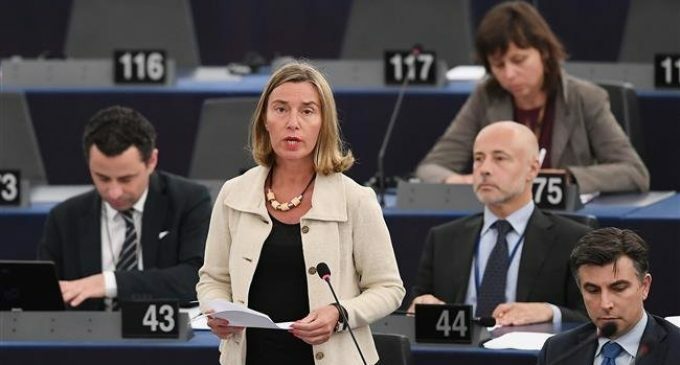 Last month, EU foreign policy chief Federica Mogherini said she expected the instrument to be established before the end of the year but that date also passed without any explanation. Tehran is critical of the EU's failure to set up a payment mechanism meant to circumvent US sanctions, saying it is high time Europeans showed they can act independently of the US.